The community of wellness professionals here believes that living up to your potential involves caring for your mind and body. We understand that inner peace comes from a healthy mind and body. We offer in-person coaching, therapy, fitness classes, and more at our Connecticut and Texas locations. Or meet with a professional online for one-on-one video meetings. Read more about Revive . . .
Revive is more than a counseling center. We're all about helping you find your best self through holistic wellness. We provide classes on mind and body practices that unleash your best self. Work with one of our highly trained professionals to move past your mental blocks and overcome limitations or learn regular practices from proper nutrition to meditation for more wellness in your everyday life. Click here to learn more about our offerings! Get help stepping into your fullest self with one-on-one therapy. Our highly trained professionals believe that good therapy is tailored to your individual needs and experiences. Have a specific personal or professional goal? Life and Career Coaches are here to help you maximize your chances of success. Revive offers one-on-one and group coaching to help you achieve your fitness and/or weight loss goals. Get a regimen designed for YOU. Have kids at home? Get them started with the foundations of a peaceful mind with Revive's Yoga and Mindfulness Classes. Currently offered for children and adolescents ages 6 to 18. Developing a community can often be integral to success for some individuals. 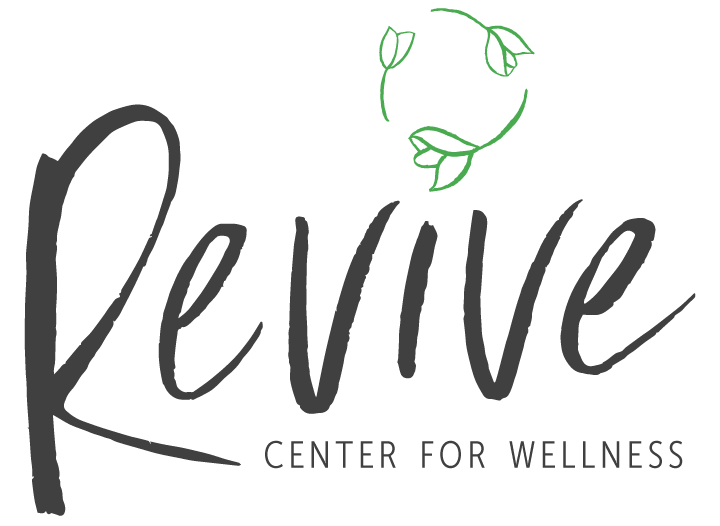 At Revive, there are several opportunities to work within groups to achieve your life, fitness, nutrition, etc. goals. Get individualized counseling from anywhere. Where to find us: online or at one of our locations. Get Directions . . .